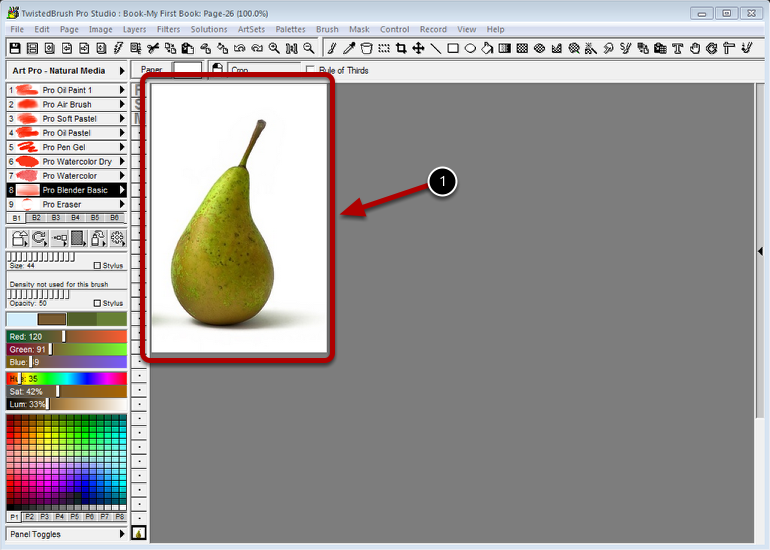 The Crop tool allows you to select an area of your canvas and remove the rest of he canvas making the selection your new image area. Select the area to crop to. 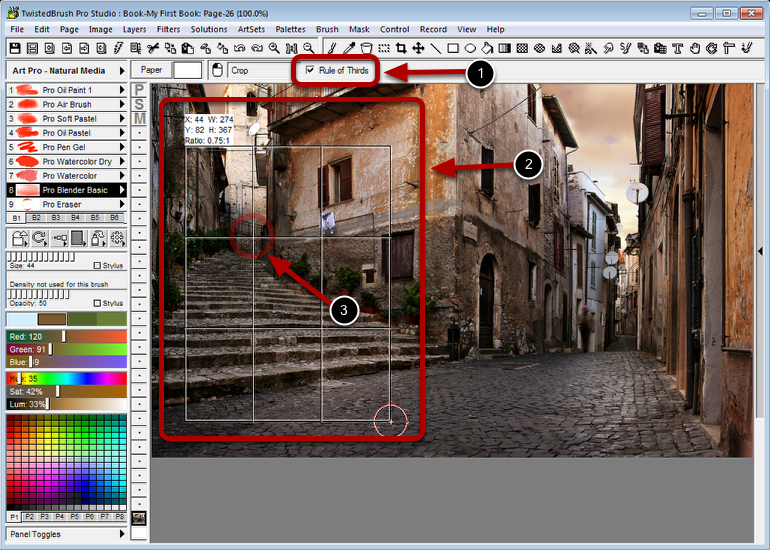 The Rule of Thirds option for the Crop tool gives guidelines that show intersection points corresponding the rule of thirds to help frame a visually pleasing crop. The Rule of Thirds option is checked. 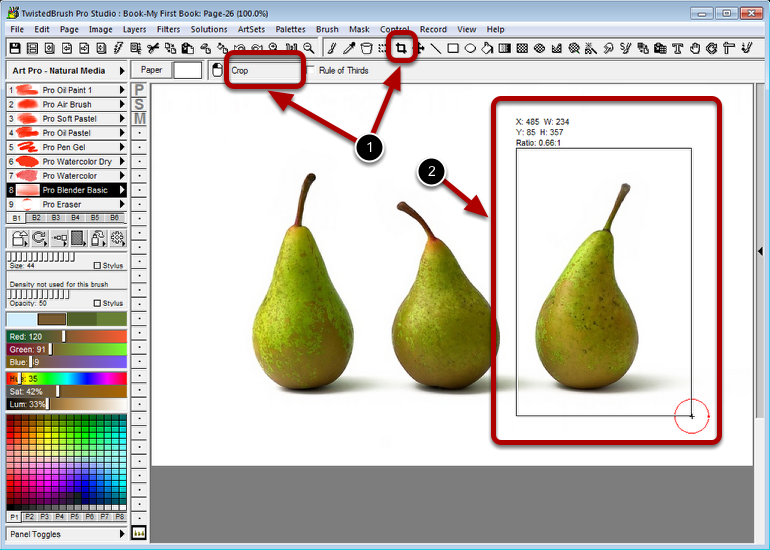 The area to crop is selected using the intersection points as a guide. Here is an intersection point we want in are crop to act as the focal point once we have the cropped result.